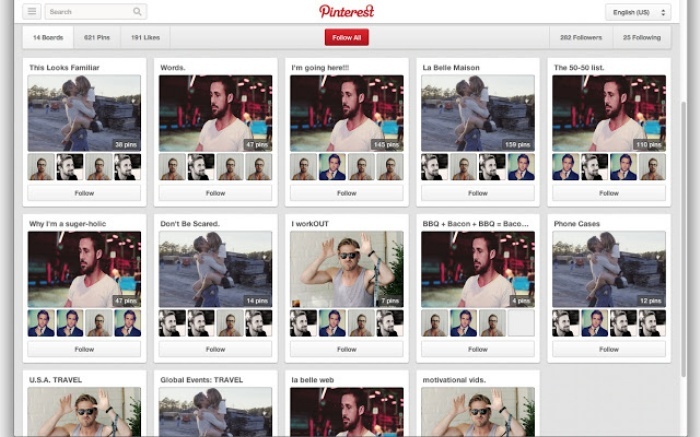 'Hey Girl' App Puts Ryan Gosling's Mug On Every Website You Visit | OhGizmo! By Hazel Chua on 08/20/13 • Leave a comment! Tired of seeing pictures of your friend’s babies or pets on your Facebook feed? Annoyed at all the selfies and “candid” shots model wannabes are posting on Instagram? 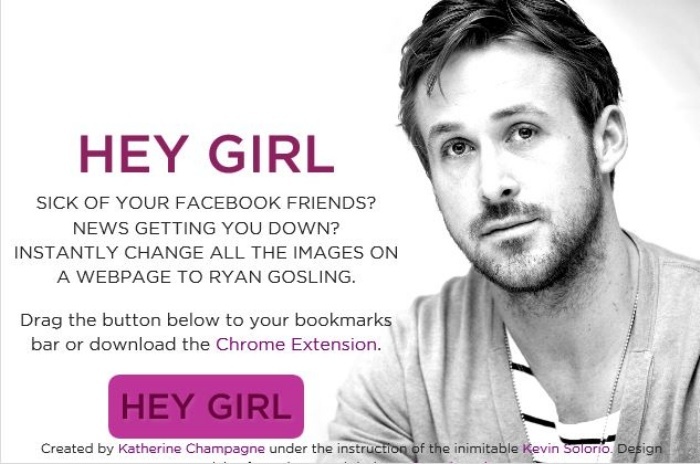 You can either unfriend them all or quit social media indefinitely–or you could drown yourself in some Ryan Gosling lovin’ by installing the Hey Girl extension on Chrome. Hey Girl was created by Katherine Champagne under the direction of Kevin Solorio when the former was attending Dev Bootcamp Chicago. The name of the app was probably inspired by the numerous memes that are circulating all over the web, each of which features Gosling’s mug. Katherine planned to use images of Channing Tatum, but decided to switch over to Ryan. She didn’t exactly say why, but we assume it’s because the latter has a much larger fanbase. Ready to make the leap? Head on over to Hey Girl and just do it.